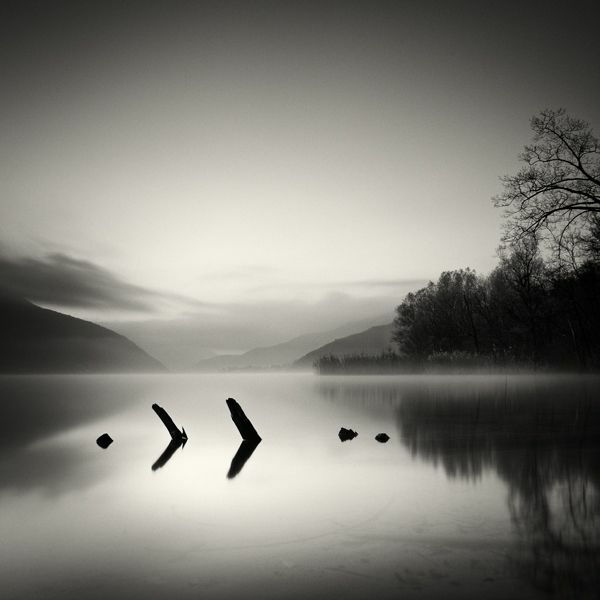 Pierre Pellegrini is a Swiss award photographer born in 1968 specialized in long exposure fine art photography. His artistic sense boosts the creation of extraordinary compositions of great depth and clarity engaging the viewer emotionally into timeless stories. We managed to get an exclusive interview with the artist, and we would like to invite you to check the enchanting answers, among the breathtaking selection of pictures that Pierre himself selected. 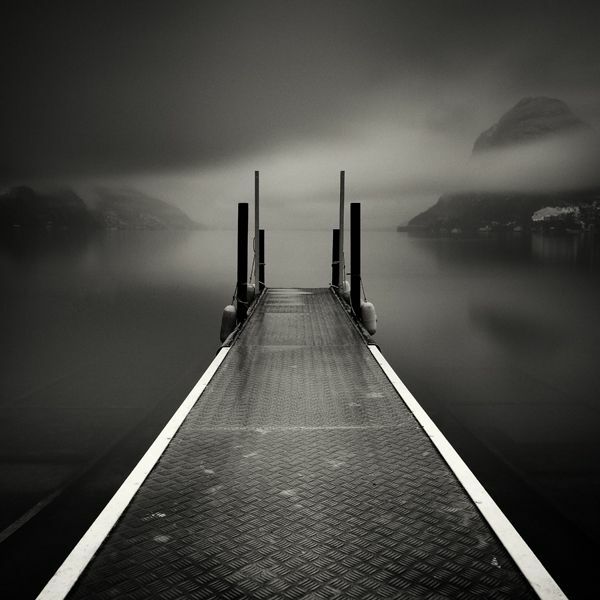 Tell us something about Pierre Pellegrini Photography? After having gone in for architectural design, I realized that my dream was to become a physical education teacher. During my professional development, I applied myself to photography. For me, photography represents a wonderful mean to communicate and, at the same time, to give the viewers the chance to feel emotions. Can you make a brief description on the pictures in this set? The pictures in this set are the result of several years of work and experimentation in the field of long exposure photography. More than about techniques or the choice of the different subjects, the pictures allow me to tell you why I am attracted by this kind of photography. The applied technique requires different rhythms in which the time factor becomes essential. You take yourself time for the composition; during the intervals between one shot and the other you can live and relish the atmosphere of this particular moment, think about all kind of things and study the next framing. This is the origin of the title of this project “Pensieri nel tempo” (Thoughts in time). A way to escape from reality and to show a world that cannot be seen with our eyes. A different world, much closer to my thoughts. Some people consider photography as an exact reproduction of reality. Through this technique, reality is partly transformed. It’s true that some elements are shown exactly the way they are, but is also true that others, in particular those who can change from one physical state to another like water or clouds, appear in a new dress, growing away from visual reality. Depending on the direction and the force of the wind or the change of light, the drawings we find in the pictures will never be the way we see them with our eyes or like we imagine them to be. The atmospheric conditions of that precise moment, transient and therefore unique, are transformed through photography into a magical and evocative phenomenon. Almost as if the reality of the time was invisible to our eyes. And so we must learn to look with our heart, with our emotions. A different world, where the dynamism of the sky is emphasized by the contrast with the perpetual movement of the water, frozen and ironed like a silk dress. We all know that photography not only frames a certain part of space but also contains a thin slice of time. In this project, the passing of time is immortalized, conveyed and held in one single picture. Even for me, when I am relishing that moment and the camera is recording, the picture that arises is always an unexpected surprise. When you have some experience it’s possible to imagine how it will be, but you will never be able to foresee the final result. There are no precise rules since the variables can be unforeseeable. It’s rather gestures which one learns with the time. What’s your creative process like? I don’t think that there is a real creative process. Mine was a rather spontaneous and instinctive process, maybe like those who regulate the memory. When I find myself in front of a landscape, an element or a subject that strikes me, it is like opening a drawer of my memory corresponding to images I have already seen and held within my heart and my mind. But not everybody sees and holds the same kind of pictures. It depends essentially on the filters every person has developed since birth. Thanks to the experience and the multitude of the seen images (from painters, sculptors or other photographers), every person creates her own style, taste, aesthetic sense and filters to see, think and finally take a picture. The images I realize are therefore the instinctive result of these mechanisms of the memory, of the filters that allow me to see and to think things and of the emotions I feel in that precise moment. I have tried to realize a real project but I felt too much tied. Maybe I’m wrong, I don’t know, but it often happens to me to go out, drive for miles and miles without knowing exactly where I am going or what I’m going to photograph. The only thing I know for sure is the kind of picture I wish to realize. 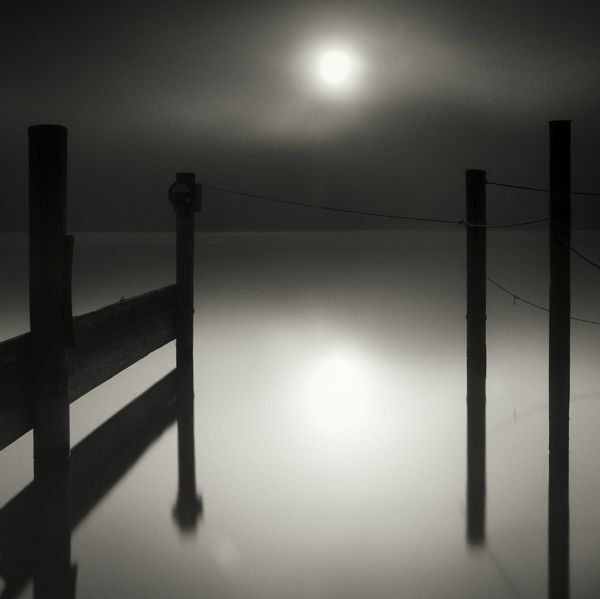 A picture that grows away from visual reality – a long exposure image. Maybe one day I will have the wish to do other things, but right now I feel that this is the way I have to go on. Where do you find inspiration and why you like photography? Nature offers so many possibilities for compositions. The difficult thing is to chose the composition which - among all - is new in an extraordinary way. An aesthetic and graphic research of nature, where everything seems to have found its right place, where the sense of order seems so well balanced and proportioned that it becomes difficult to distinguish the boundary (if it exists) between human intervention and nature, responsible for itself. Like the choreography of a ballet or a musical composition – everything seems in harmony and gives us a deep feeling of peace and quietness. Order and balance of nature mixed with imperfection and unpredictability of the record technique give us the gift of a picture that grows away from reality. Sometimes, I can’t even explain myself which are the mechanisms that make me chose one subject rather than another. I feel that I have to stop to immortalize what my eyes see. 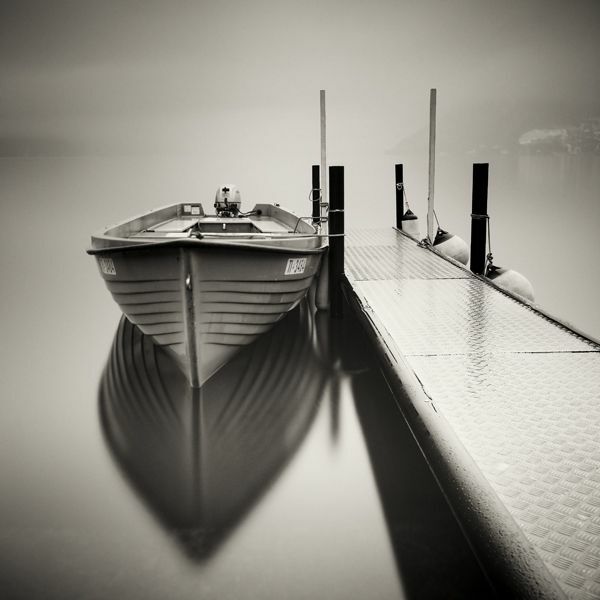 By photographing, I try to give a particular importance to what I see. In a first moment, this is a very personal value, where the picture is the expression of what I feel. A kind of inner landscape. A magical moment that I wish to hold in my memory and in my thoughts, but at the same time I want to share through the photography. What is typically in your camera bag? Most of the pictures have been realized with a camera Hasselblad 503 CW. I have chosen this kind of camera for different reasons. First of all, I wanted to give my pictures a square cut; maybe due to my personal aesthetic sense and the absolute symmetry between base and height, horizontally and vertically, but most of all to give a vision, detached from reality. As a matter of fact, the proportion 2:3 of a rectangular form is the closest one to the angle of the human eye. Moreover, rather than cutting in postproduction the rectangular pictures to give them a square format (from my point of view aesthetically improper and too invasive), I have preferred to invest in a camera with which I can directly frame the final shot. And finally, with the Hasselblad cameras it is possible to realize analogical as well as digital pictures. This increases remarkably my possibilities of experimentation. What are some tips you could give to people that really like your work? Tips? I feel quite embarrassed by this question. I consider myself an eternal amateur photographer. How could I give tips? The only thing that I can say is that they should follow their own dreams, let themselves carry away by their own emotions and try to understand why one picture attracts them more than another. In other words, know the mechanisms which activate their filters and their way to see and think things. And they should always try to enrich and develop their filters by visiting exhibitions, reading books, watching other photographs and so on. Every person has to build and follow her own way. Can you name some great photographer that inspires you and why? 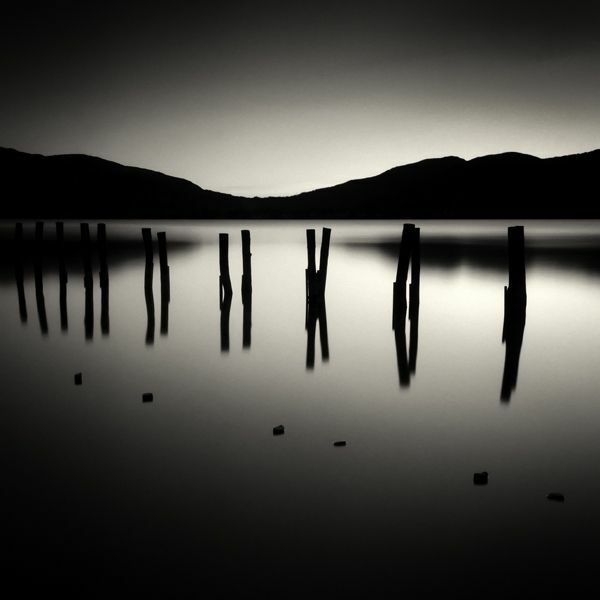 The first photographer that inspired me was Michael Kenna. I was immediately struck by his pictures and I still hold them in my heart and in my mind. Then, by a personal research, I have known many other photographers. I don't want to make a list because I am afraid to forget one of them. However, I take the opportunity to point out another photographer who, living in Switzerland, has helped me a lot to understand and build my own way. He is a very generous person and I think he has a great talent. His name is Philippe Mougin. What can you tell us about your prints? I have always asked myself if a picture has necessarily to be accompanied by words. Personally, I think that an image should be able to stand for itself. I don't have the answer, I can only invite the viewers of my prints to let themselves carry away by their emotions. When I was taking the picture, I have lived very personal feelings. Feelings I cannot describe because this must be done by the image itself. If my print succeeds in telling you something or in arousing emotions in you, then I will have achieved my aim. Any suggestions for the title? Obviously, I have tried to find a title for every shot. It is always a very personal choice that – as I have already said in the previous answer – must not influence on the liberty of imagination and interpretation of the viewer. Concerning the title of the project “Pensieri nel tempo”, I have already expressed myself in the first part of the interview. Let yourself carry away by the images wherever you want. Feel free to fantasize and dream. Thanks a lot Lionel Orriols, who invited me to participate in Photography Office. Leo thank you for accepting my work. 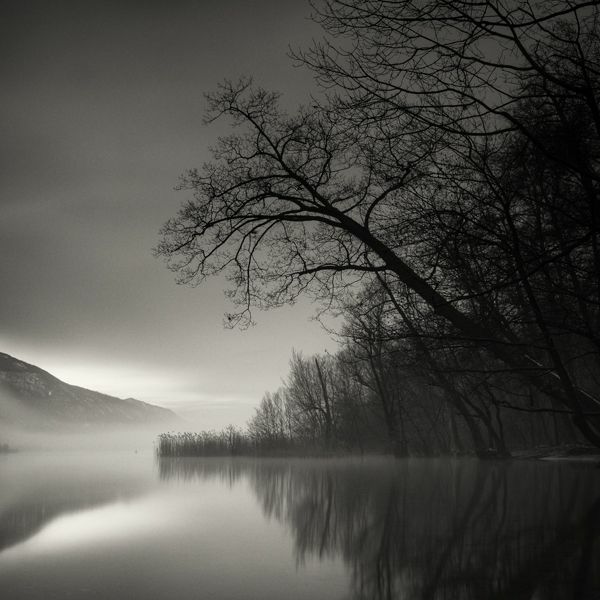 Dear Pierre Pellegrini, it's a great honor to have you featured on our Photography Magazine. Your black and white style is unique, your stories are remarkable, and the tips given are extremely valuable. Thank you for all your help and good luck with your future projects.